Traveling cat spotted at a cemetery in Bursa, Turkey. Loving this themed edition. Have a marvellous Monday. What a great shot for the holiday week! 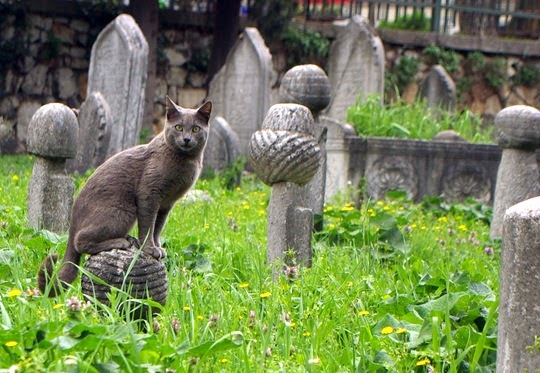 There sure have been lots of cats in cemeteries.